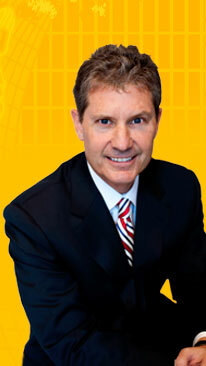 Since 2001, George Ludwig has helped organizations like yours dramatically improve their productivity and performance. His clients range from corporate giants like Johnson & Johnson and Northwestern Mutual to mid-size companies like Cutera, STAAR Surgical, and Biolase Technology right down to small entrepreneurial firms like TimeMed Labeling Systems and Team REIL. Starting with your CEO on down, is it sales-, manufacturing-, or operations-focused? 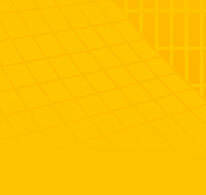 What’s your company’s philosophy as it relates to sales? Do you really live by the philosophy? Is your company laser-focused when it comes to sales? What arenas are you playing in? What markets are you going after? Is everyone headed in roughly the same direction? Do you have the right sales rep profile? The right number of sales reps? Does your structure reflect your overall sales strategy? How are you deploying your reps: geographically, by market segment, etc.? Do you have the right field managers in place? The right ratio of managers to salespeople? How does it work? Describe the steps of the process. From the greeting handshake to the deal- closing handshake, what do your salespeople’s best practices look like across the process? Do your tactics reflect your strategy? Do you follow a system that adheres to the philosophy that how you sell is as important as what you sell? Is it sporadic or ongoing? 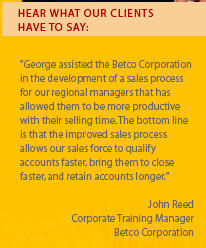 Do you have spot-on customized training based on your sales process? Is it being delivered in such a way that your team buys in and commits to improving their behaviors? Are you reinforcing your training consistently? Are your front-line managers holding your people accountable for improving their selling behaviors? Have you developed a template for hiring the right people to meet the specific criteria necessary for sales success in the markets in which you play? Do you have a truly effective way to help your managers interview for these criteria? What happens when you promote a salesperson to a management position? Do you provide any sales leadership training? If a rep is weak on, say, consultative questioning, are managers able to help him or her improve? Is your organization effective at managing your sales pipeline? Do your managers forecast accurately? Do your managers help their sales team maximize their sales funnels and not waste their precious time on marginal opportunities? Have you implemented a Sales Force Automation (SFA) Tool that effectively guides your sales organization on what to do and where to go and gives you an accurate dashboard view as well? Or your SFA Tool bogging your salespeople down with busy work and is really automating only chaos? Do you have the right kind of metrics and accountability practices? Do you have the right scorecard? Are you measuring the right things and holding people accountable for delivering them? Have you established a culture of constant accountability? This provides a "big picture" context that ensures the strategies and techniques learned during his sales training take root and grow in all of your salespeople. After all, even the best training in the world won't work well if you're hiring the wrong people or if your compensation structure is inherently de-motivating. Copyright ©2015 by George Ludwig Unlimited, Inc. All rights reserved.